3D Stereoscopic Printing Pen – why draw two-dimensional pictures when you can sculpt three-dimensional sculptures in real-time? This nifty line of gadgets and gizmos use superheated plastic that instantly hardens when exposed to room temperature. This makes it possible to form complex miniature sculptures using nothing but a pen! Handheld Laser Distance Measurer – why get tangled up with tape measure when you can instantly measure distance using these cool gizmos? Just point, click and watch the screen to check the distance between the laser and a target surface. Some models can even measure area and volume! 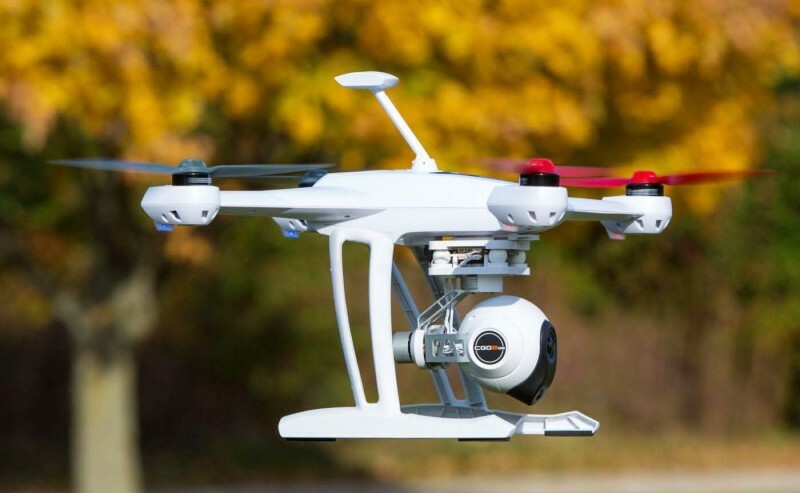 RC Quad Rotor Copters – the latest gadgets in remote-controlled aircraft use four rotors not just because they look cool but because they make it much easier to maneuver the drone around wherever you want. This ease of use makes it the perfect gift for the budding airplane enthusiast! Retro NES/SNES Handheld Console – your dad was a kid at one point, and chances are he lived through the times when Nintendo’s NES and SNES consoles where the latest gadgets and gizmos to hit the gaming scene. Rekindle his passion for old-school Nintendo games with these nifty handheld consoles that either use emulators or run old cartridges straight off the bat! Theremin Mini Kit – the Theremin is one of those weird musical instruments that is both creepy and awesome at the same time. You can get your dad to start messing around with tones by simply waving his arm in the air like some sort of tech-powered magician. Heated Travel Mug – if your dad loves a good cup of coffee while driving or at work, then these nifty mugs will help keep his drink nice and hot while he does what he does best. Some of the latest gizmos even have interchangeable plugs that work with USB ports and car power ports! Lego Light Switch Panel – why be content with a plain old light switch when you and the rest of the family can jazz things up with their own Lego creations? This nifty panel holds pegs designed to fit squarely into the round slots of Lego pieces – opening up a world of possibility when it comes to both pranks and creative projects alike! Smartphone Monocular – transform dad’s boring old phone into a cool telescope! Simply slap these gadgets and gizmos over the camera of your phone and presto – you can now zoom the picture to snap distant photos with crystal-clear quality. Some of the latest gizmos are even adjustable to fit a variety of phones! LED Emoticon Sign For Cars – if you are on the road a lot, then you will definitely know how difficult it is to communicate even simple messages to other drives – especially those behind you. This battery-powered sign solves that problem by showing various messages with a simple flick of a button. Help, thanks, sorry, back off, slow down – these are but a sample of the simple messages that can be of great use while out on the road!